Next month is National stationary week beginning April 24th. This is a yearly event and for the second year running, a digital competition is launched to celebrate the written word. Bloggers and online influencers everywhere are taking part to write about any stationery related topic they wish in the hope to win the “Blogger of the year” award. 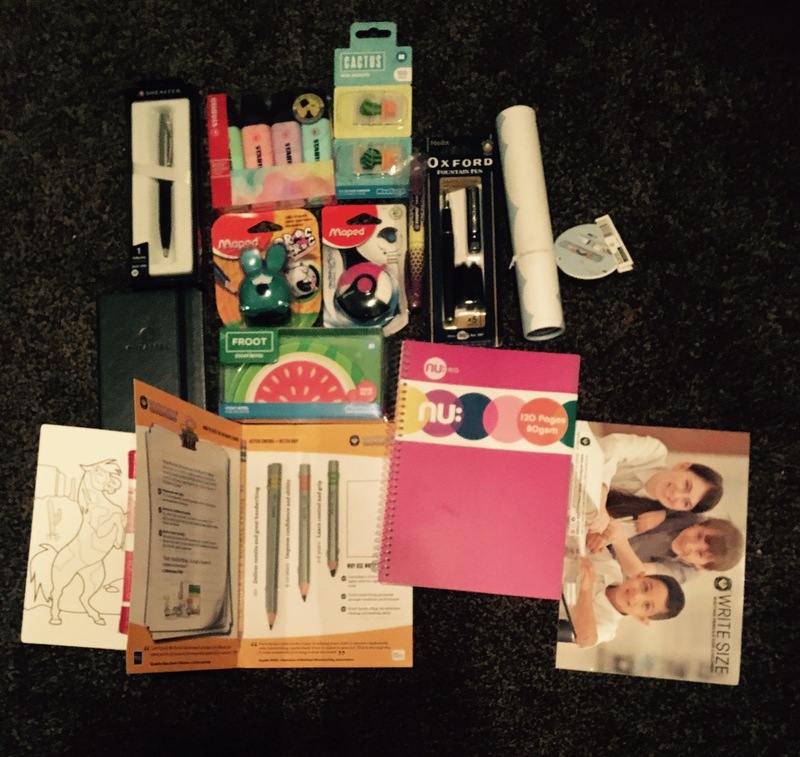 To get me in the mood for next months stationery week, I was sent a lovely bundle of stationery items. My package of stationery goodies come from a variety of stationery brands including Stabilo, Mustard, Maped/helix and Sheaffer. We have lots of different bits and there is something got us all in this bundle. 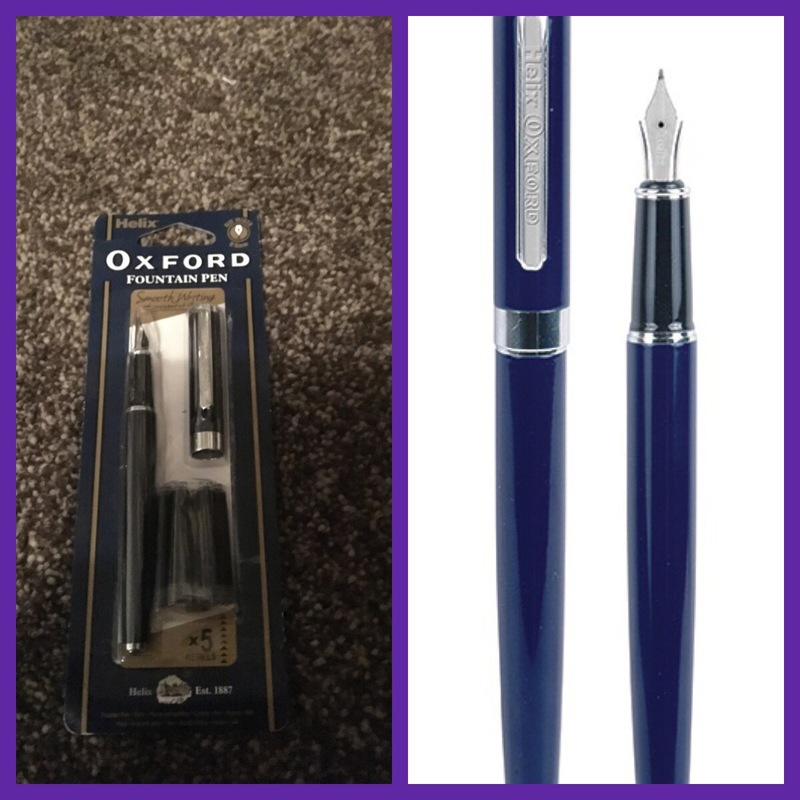 My favourite item is my new Oxford fountain pen from the Mapedhelix brand. A fountain pen is the one stationery item I longed for when I was at high school but never got. They seem to have come down in price a bit over the years and like a big kid, I was overjoyed to finally get one. This fountain pen comes with 5 refills so should last a while. My (almost) teenaged son already has his eyes on it so looks like I’ll be hiding this away. 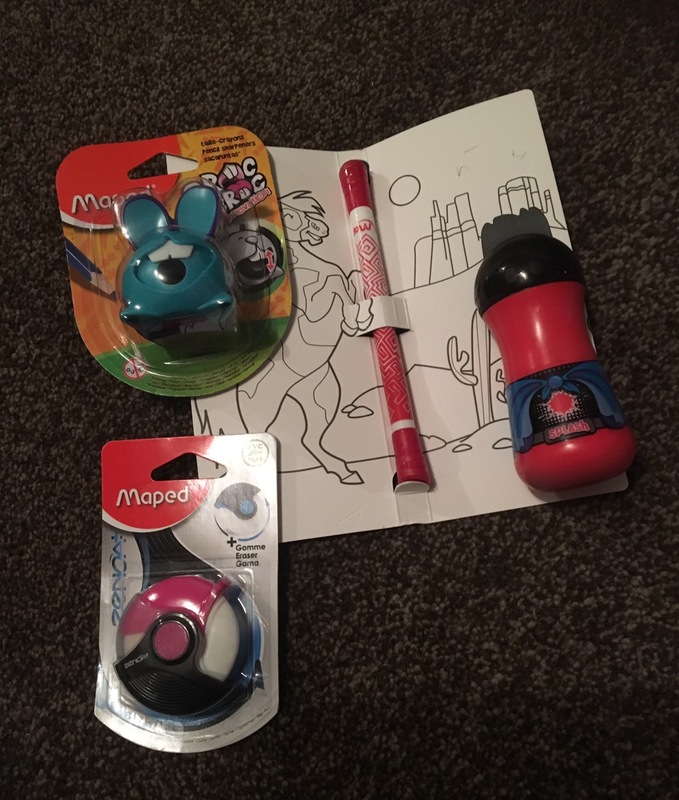 Also from the same brand – Mapedhelix, a few other useful bits and bobs. I do love the quirky little stationery things like this. 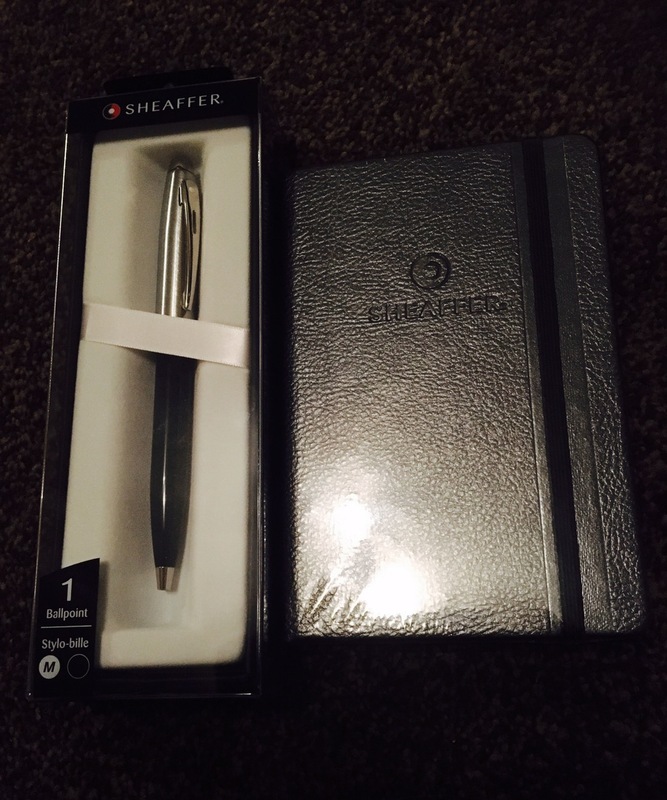 I really enjoyed picking stationery out for my son when he started high school too and these are just the type of things that he can use. There is the Zenoa+ eraser, a bunny sharpener which younger kids will like as the bunny teeth eat away at the inserted pencil. The red tube thing is Color’peps superhero paint which I am going to save for the warmer weather, when painting can be done outdoors. And finally a sample of the new double sided Color’peps duo tip felt pens. These pens have one fine tip for drawing/writing and a thicker tip for colouring in. The next brand is quite a colourful collection of stationery things. Mustard Products will no doubt appeal to children, teens and stationery loving adults. The funny cactus things at the bottom are page markers. It’s hard to believe but this little set actually contains 100 page markers in total. Page markers help to point out important documents. They stick on and come off easily. Sticky notes – have become something I regularly rely on. No I don’t leave notes for my children or anything like that but I do leave notes on my door off parcel couriers. When I run out of sticky tape these can be a life saver. 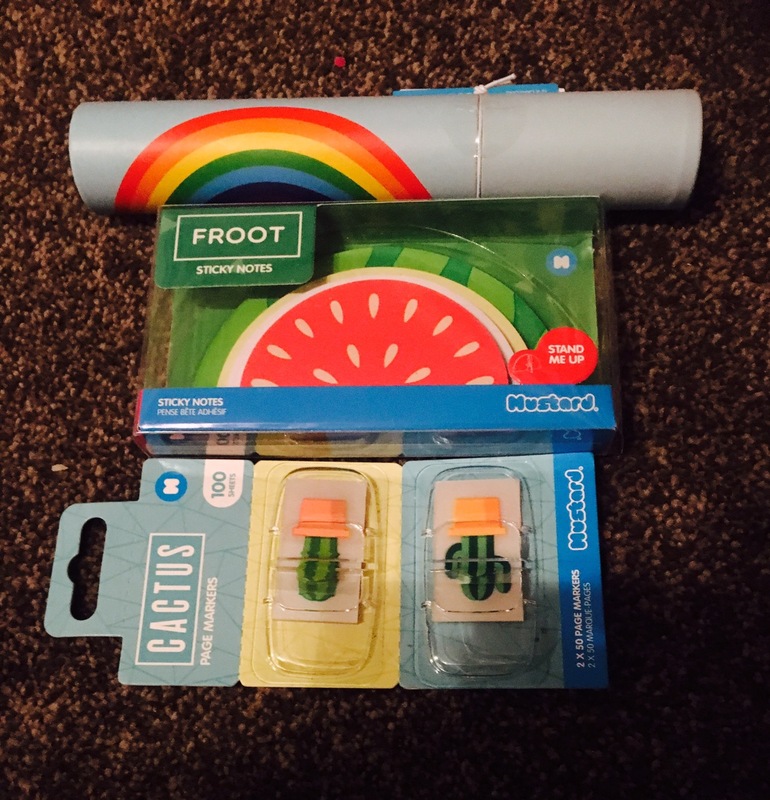 My kids also use them for various things and the watermelon design is just fab. These rainbow coloured pencils, quickly caught the eye of my 4 year old daughter. I’ve never seen pencil crayons like this, the tips are muticoloured with all the rainbow colours in them, so depending on how we hold the pencil, it’s a different colour each time. Sheaffer seems to be a more grown up brand of stationery with a selection of fine pens, gifts and other writing accessorises. I never really understand why pens come in boxes such as this one, unless for a gift, a box really is not needed as it just gets thrown away. I have given this pen to my son to use at school as it is a quite fine looking pen. 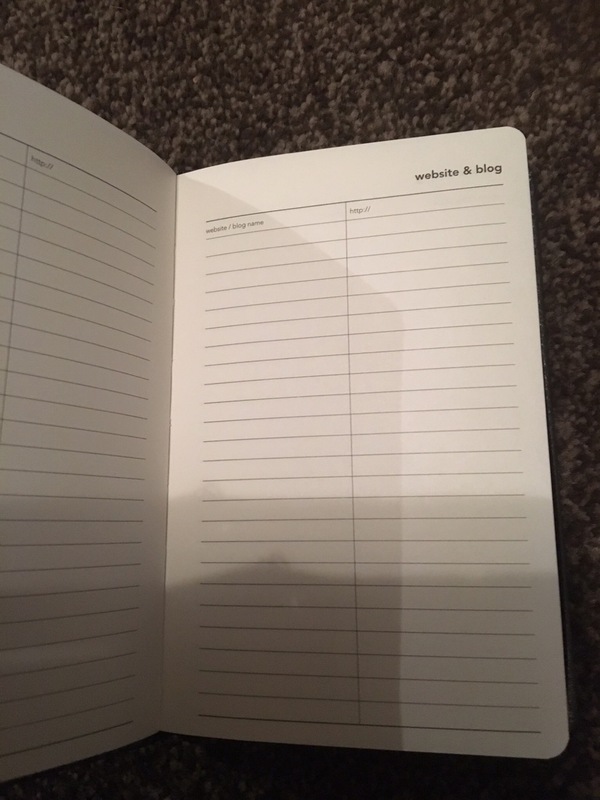 I have kept the notebook and it has a pretty good section for people just lols me. – yes a blogger section. 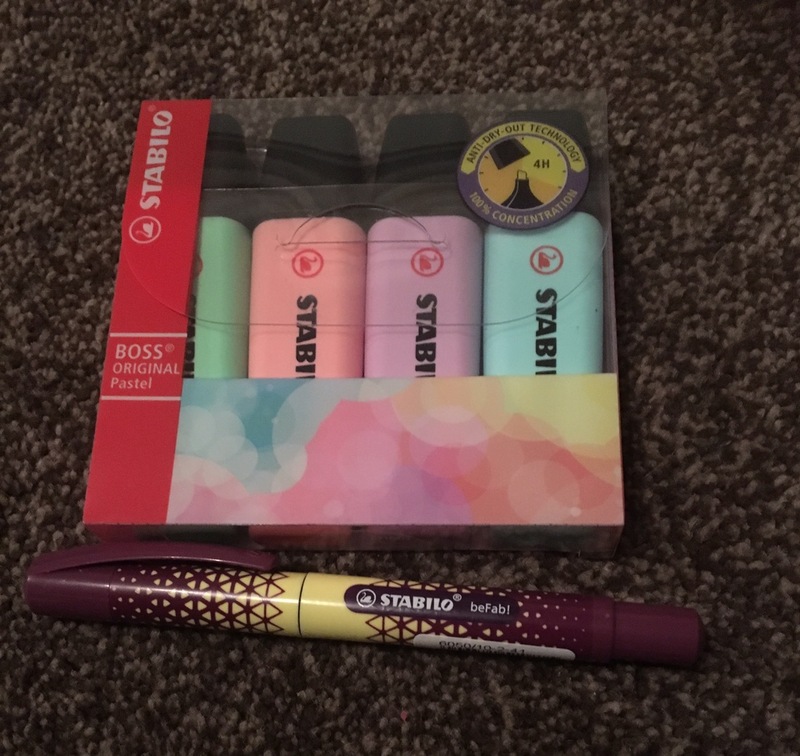 Stabilo – Is a brand I am very familiar with. Their stationery appeals to both kids and adults alike. Bright, bold and a mixture of colours. They have a good selection of pens, pencils, highlighters and other funky writing materials. It’s a school kids paradise. Write size is quite a new brand. 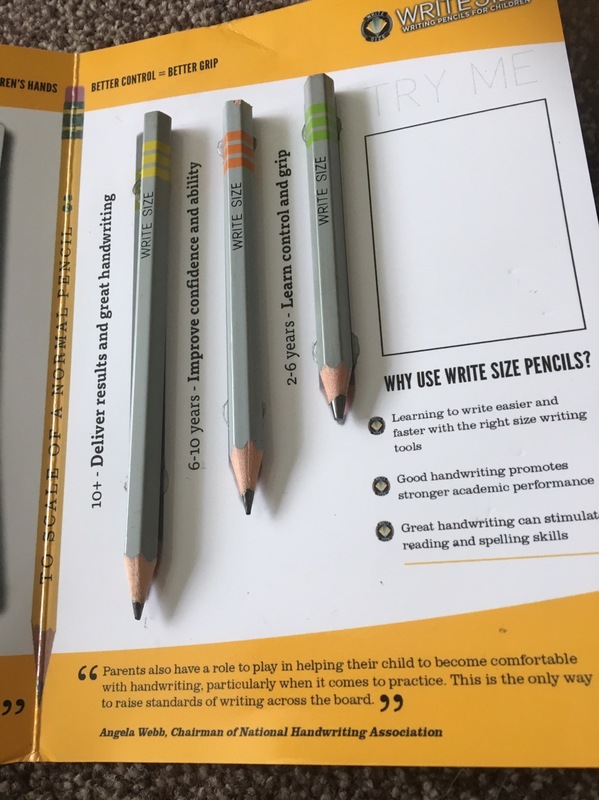 Their main concept being pencils for children, but at the correct size for little hands. Their pencils are developed in many sizes to lessen the strain of writing and gripping on young hands. A correct size pencil can also help improve handwriting. 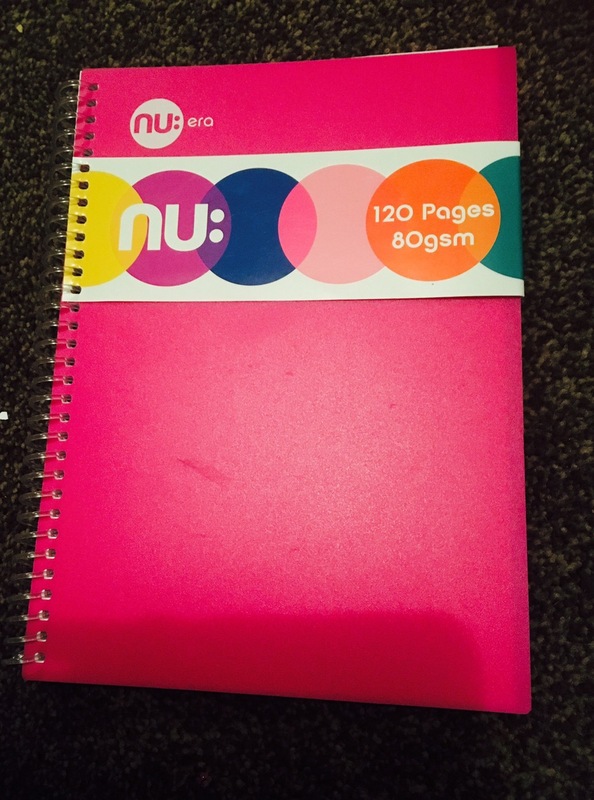 And last but not least – a new notebook from Nuco international. Lots of bright colours and different styles to choose from, notebooks that will certainly stand out in a classroom. 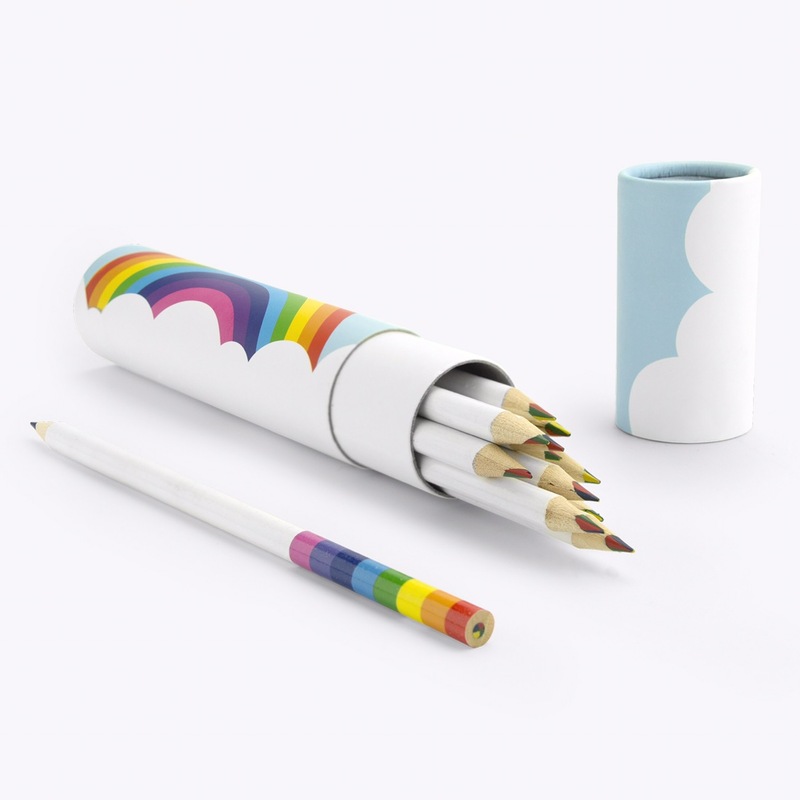 Wow, we are in stationery heaven! #writingmatters. Are you thinking of buying Gold?